Studies have shown that not taking vacations is linked to health problems. One study found that men who were at high risk for heart disease but failed to take annual vacations were 32% more susceptible to dying from a heart attack. Alternatively, taking vacations have been found to help us “recharge our batteries”; we sleep more and sleep better during vacation and continue to for a period of time after the vacation (potentially up to 5 weeks afterwards!). Our brain responses become quicker after vacations, ultimately making us more productive in our jobs. In a study conducted in 2010, 35% of Americans feel better about their job and are more productive after a vacation. Unfortunately, the reality is that about 25% of Americans don’t take any vacation at all. Some people just don’t take vacations often enough. While not everyone is in a situation to take a week-long vacation, there is no excuse to arrange a short getaway every once in a while. The Bacchus Inn Bed & Breakfast is a great choice for anyone looking for time away. Whether for an extended vacation or a quick getaway, The Bacchus Inn B&B will deliver a satisfying retreat to help you “recharge your battery”. Your job and your health depends on it! Wow is it Hot in Cape May! Summer is here and with it comes the heat. But it is OK because Cape May and the Bacchus Inn are prepared and welcoming. 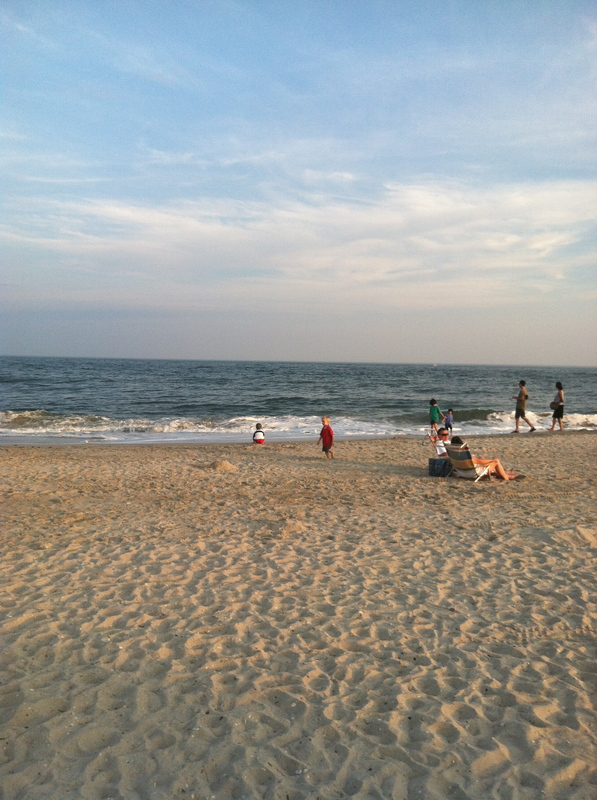 The Atlantic Ocean is still cool but comfortable after the initial plunge. The sun is hot all day. The evening offers relief and a cool breeze. The Cape May beaches are always a welcome oasis down by the shore break. The breeze is pleasant and the sounds of the ocean are comforting. If the beach is too much one can always retreat to the shops, restaurants, or ice-cream parlor for a welcomed break. This weekend Historic Cold Springs Village offers the Celtic festival, Saturday July 20,2013. There is Celtic music and craft all day. West Cape May is offering a Craft show this weekend at Wilbraham Park. Posted in General, Uncategorized | Comments Off on Wow is it Hot in Cape May! Valentine’s Day is an opportunity to let your love know just how special they are in your life. Sometimes our lives are so busy that it is tough to schedule quality time with each other. Wouldn’t a beautiful bouquet of flowers, fine chocolates, gourmet breakfast, and a quiet room far away from all your daily stress and worries be the perfect Valentine’s Day celebration? Take part in The Bacchus Inn’s special Valentine’s Day offer – Click here to view. We will make it easy for you, make your reservation now and we will take care of the rest. Come to The Bacchus Inn Bed & Breakfast for Valentine’s Day this year. Call us at (609) 884.2129 or click here make your reservation on-line now. 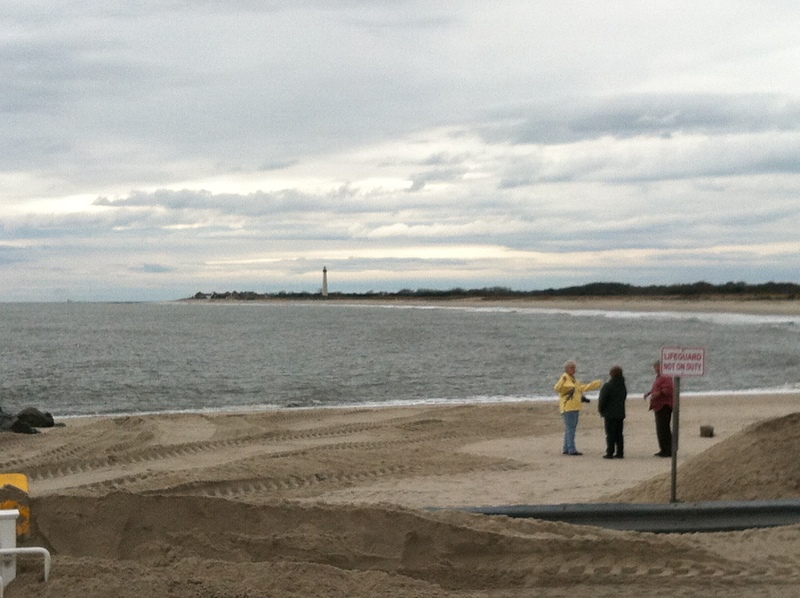 Cape May is all ready awaiting the 2013 tourist season with much anticipation. Come frolic in our surf, stroll our promenade, tour our Victorian Inns, relive our past, climb our lighthouse, browse our shops, fish our waters, enjoy an outdoor concert, be part of our night life, visit our gardens, hunt for “Cape May Diamonds”, or experience our natural beauty at one of our nature preserves. Hurricane Sandy roared through Cape May County on Monday, Oct 29, driving a massive storm surge onto the barrier islands. Winds and rain started Sunday and continued through two high tides, coinciding with a full moon that night. Thankfully for Cape May and other area shore-points, Sandy turned into a post-tropical cyclone before making landfall south of Atlantic City around 8 p.m.
By Tuesday morning, parts of the county looked like a war-zone, however, Cape May, the Wildwoods, Stone Harbor and Avalon fared better than expected. Avalon and Stone Harbor experienced an all time record high tide Monday night, but the water had receded by Tuesday afternoon and damage seemed minimal. Many believe that the combination of the storm hitting 20 to 25 miles north of Cape May and some two hours before high tide, saved this area from immense flooding.